Dissecting the claims about Iran, one might reasonably counter that rigorous inspections by the United Nations International Atomic Energy Agency (IAEA) confirm that Tehran has no nuclear weapons program, a view that is supported by the U.S. intelligence community in its recent Worldwide Threat Assessment. Beyond that, Iran's limited missile program can be regarded as largely defensive given the constant threats from Israel and the U.S. and one might well accept that the removal of the Iranian government is a task best suited for the Iranian people, not delivered through military intervention by a foreign power that has been starving the country through economic warfare. And as for provoking wars in the Middle East, look to the United States and Israel, not Iran. What may be the new Iran policy was recently outlined in a Washington Times article, which unfortunately has received relatively little attention from either the media, the punditry or from the few policymakers themselves who have intermittently been mildly critical of Washington's propensity to strike first and think about it afterwards. The article is entitled "Exclusive: Iran-al Qaeda alliance May Provide Legal Rationale for U.S. military strikes." The article's main points should be taken seriously by anyone concerned over what is about to unfold in the Persian Gulf because it is not just the usual fluff emanating from the hubris-induced meanderings of some think tank, though it does include some of that. It also cites government officials by name and others who are not named but are clearly in the administration. As an ex-CIA case officer who worked on the Iran target for a number of years, I was shocked when I read the Times' article, primarily because it sounded like a repeat of the fabricated intelligence that was used against both Iraq and Iran in 2001 through 2003. 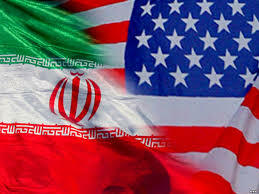 It is based on the premise that war with Iran is desirable for the United States and, acting behind the scenes, Israel, so it is therefore necessary to come up with an excuse to start it. As the threat of terrorism is always a good tactic to convince the American public that something must be done, that is what the article tries to do and it is particularly discouraging to read as it appears to reflect opinion in the White House.